Stuart E. Grass concentrates his practice in the area of estate and wealth planning, primarily representing wealthy individuals and family groups. As many of his clients are or have been owners of closely-held businesses, he has developed particular experience in the areas of planning for wealth transfer, succession planning and compensation planning for key executives. In addition, Stuart's practice also includes the active administration of trusts and estates. Stuart has always been actively involved with various charitable organizations in the Chicago area. He has served as president of the board of directors and as a director of the Better Boys Foundation, as vice president and as a director of the Menomonee Club of Chicago, as a director and secretary of the Joseph Kellman Family Foundation, and as a director and co-chairman of the nominating committee of Communities in Schools of Chicago. 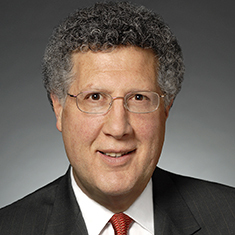 Stuart frequently speaks at various programs involving estate planning and tax planning for the closely held corporation and its shareholders, having actively participated in a series of seminars sponsored by the Schools of Continuing Education of New York University and the University of Southern California, as well as in numerous locally sponsored seminars. Shown below is a selection of Stuart’s engagements.